How Often Does The Favorite Win The Kentucky Derby? All hail American Pharoah! The much-ballyhooed, hard-charging colt came away with a win in the 141st Kentucky Derby Saturday, narrowly beating out nearest runners-up Firing Line and Dortmund to claim a first-place finish. In other words, it happened the way the odds said it would: the favored American Pharoah made good on the confidence of all those folks who placed bets on him, in front of a record-high television audience. But that isn't as common as you might expect. 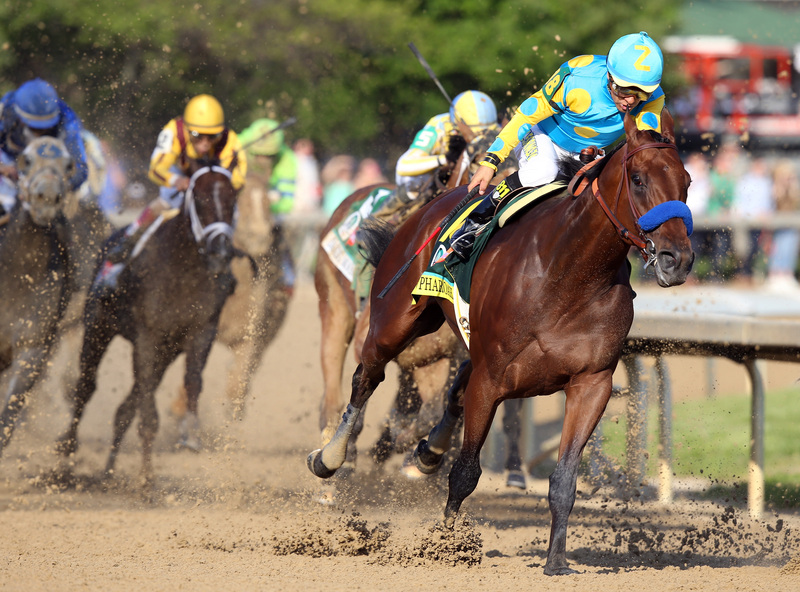 How often does the favorite win the Kentucky Derby, would you reckon? Obviously, for a race with as long a history as the Derby's (the first race was held back in 1875), you're dealing with a lot of numbers. But luckily, there are records on this: 49 out of the 141 Kentucky Derbys have been won by the favorite, just over one-third of the time. But perhaps the earlier decades of the Derby might not be the most meaningful to highlight anyways. By virtue of how much more venerated and highly-covered the big race has become over time, more people now than ever before can watch the race and place a bet. Hopefully, they're well-informed by modern broadcasting's laser-like focus on big-time sporting events, at least in relative terms, but maybe not. More recently, of course, the advent of internet streaming and online gambling has also really changed the game. In any event, here's the peculiar thing, as Forbes' Allen St. John detailed just prior to the 2012 Kentucky Derby: over the last few decades, favorites have had a pretty rough time winning. From the years St. John profiled — from the 2011 race clear back to 1979 — only four times did the favorite going in get to stand in the winner's circle after the race. That means that in 28 of those races, anyone who thought they were going all-in on the safe bet walked away with nothing. Such is the danger of betting seriously in any event with 20 or so participants, I suppose, but it still smarts a little. Four Derbys later, however, and this modern-era figure now looks different, and is trending much more favorably for the overdogs. Despite the favorites falling in 2012 and 2013, both 2014 favorite California Chrome and 2015 favorite American Pharoah (both jockeyed by Victor Espinoza) ended up fulfilling their top-billings. Obviously, there's no real way to know why the favorites went into such a dry spell throughout the 80s' and 90s' (as St. John noted in his piece, not a single favorite won the Derby from 1980 through 1999, which is a little mind-boggling). It could just be the twists and turns of fate over a narrow sample size, or maybe increased expertise in horse breeding has led to more parity. Those are okay guesses, although it's a shame we can't interview horses after a big race the way we would a human athlete. "You know, I was kinda running at 80 percent out there, never felt quite right. Also, neigh." But it could serve as a cautionary tale, if nothing else — there's no such thing as a safe bet, so never hazard what you can't afford to lose. As for this year, however, it's kind of exciting that the prevailing favorite did win — no better chance, you'd have to imagine, to finallly see the first Triple Crown winner since 1978.